I moved it to the brand-new Roller-Skate.org! 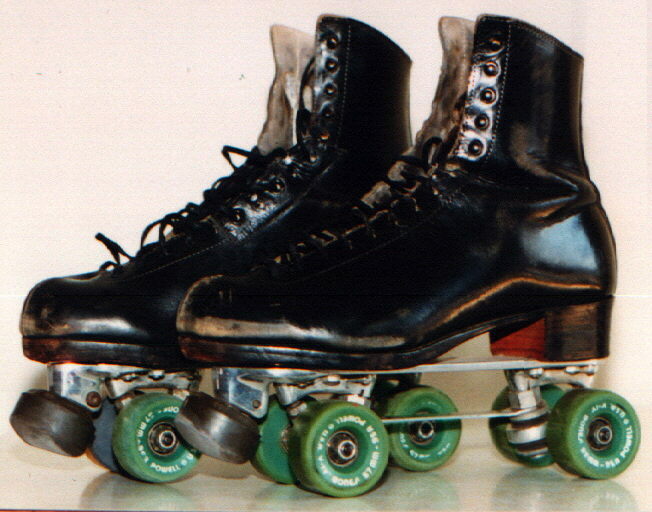 The Roller-Skate.org organization is intended to give you a one-stop place for any indoor roller/inline skating information. I've been roller skating since I was 6 or 7 years old. 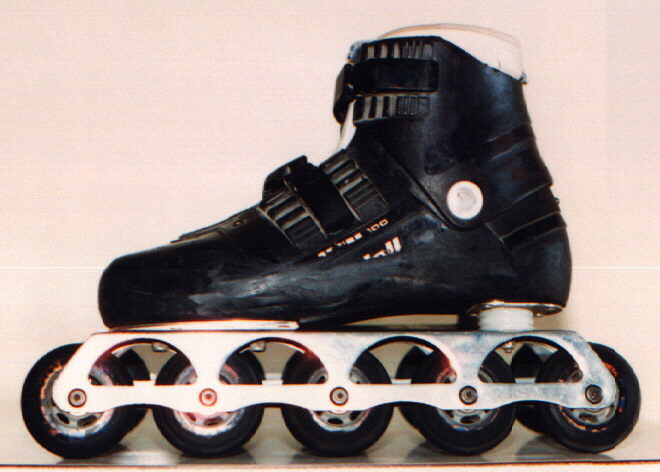 Right now, my speed skates are made of Riedell 122 boots with Hard Candy plates, Bones bearings, and Labeda Snapper Record wheels. I've had these about 6 years now and use them at least once or twice a week. I also use my brother's Douglas Snyder skates, with Fafnir 8 bearings and Bones wheels. I've only started inline skating within the last few years, and I must say that I like the speed of my Riedell Series 100 inlines with Airlite rails and Airmax wheels by Square Wheels. This is a 5-wheel-per-skate setup and just works great, even with cheap bearings. I wish I could get into racing on them. I've only been ice skating a few times so far, but I definitely want to get into this sport a lot more. I don't have a pair of ice skates, but that will change within a few years, I'm sure. Ice Rink Websites, the most complete list of ice skating rinks with web sites! 1st Skate-Mart sells figure skating supplies. www.icesk8.com contains clipart, links, and more! Viking Ice synthetic ice rinks, ice skating without the ice. Home and business systems are available. rec.sport.skating.ice.figure newsgroup, take a guess. rec.sport.skating.ice.recreational newsgroup. This looks like it is geared toward the beginner/recreational skaters. A quick look at the group shows subjects asking questions about skating and ice skating information in general. Looks like a decent resource for someone new to the sport. Written by RJ Marquette on 5/28/96. Revision 2.1.3 12/1/2001.